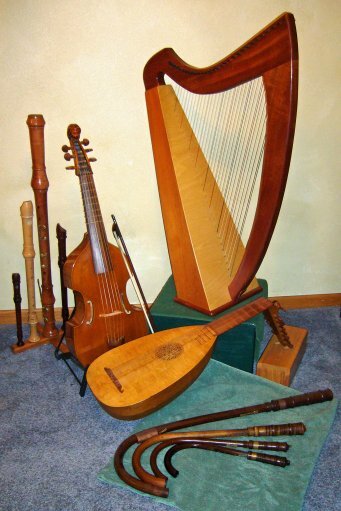 Performers of Medieval, Renaissance and Baroque music played in costume on period instruments, we provide music for weddings, receptions, banquets, company parties, art openings, plays and fundraising events along the Wasatch Front in Utah. Make your event elegant, warm and unforgettable! Musica Antiqua was established in 1972 as a project for an honors chamber choir at Weber State College in Ogden, Utah. The group has performed in eight plays with the Weber State Theater Department and the Unicorn Theater, on a live broadcast for KRCL Radio, and in eight recitals for the Temple Square Concert Series, as well as playing more recitals, parties and wedding receptions than they can count. 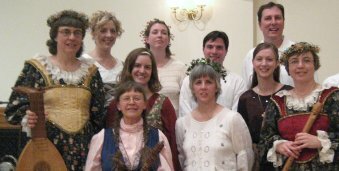 From unique instruments and animal noises to courtly dances and sublime melodies, Musica Antiqua enjoys sharing medieval and Renaissance music with audiences of all ages.